If you have a room you don’t like in your home, chances are you will not use it at its full potential. 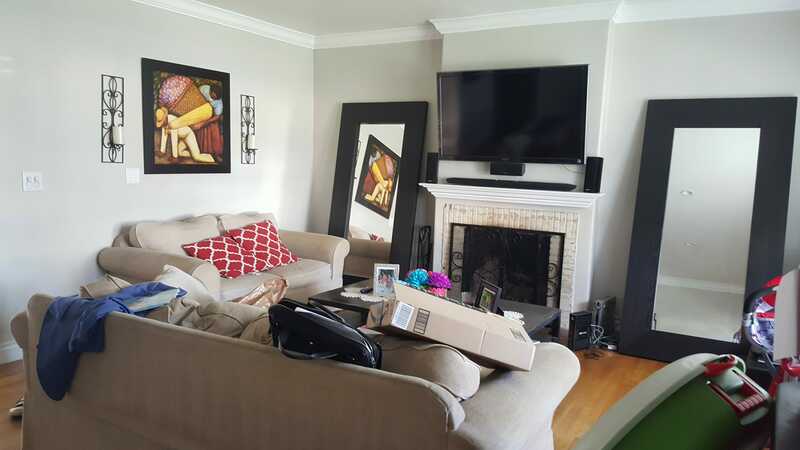 This is exactly what happened to the owner of this living room, who did not like the space and – as a consequence – was just never using it. 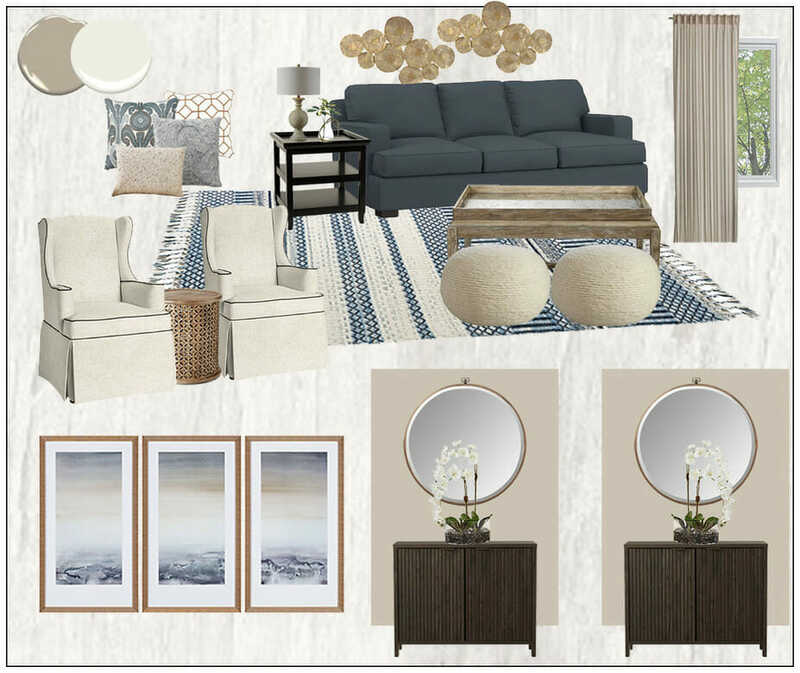 But Decorilla came to rescue with a transitional online living room design that gave this living room a whole new life! 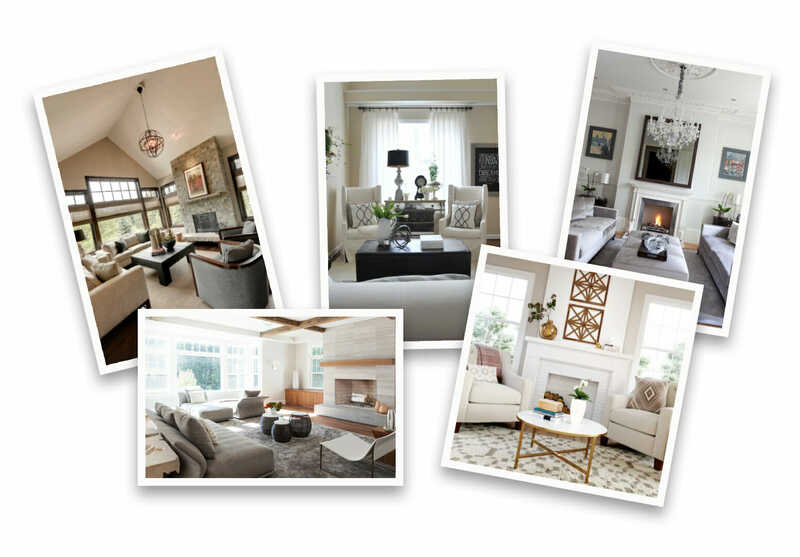 Decorilla interior designer Tera transformed this unused space into a formal yet inviting transitional living room. The color palette is overall neutral. 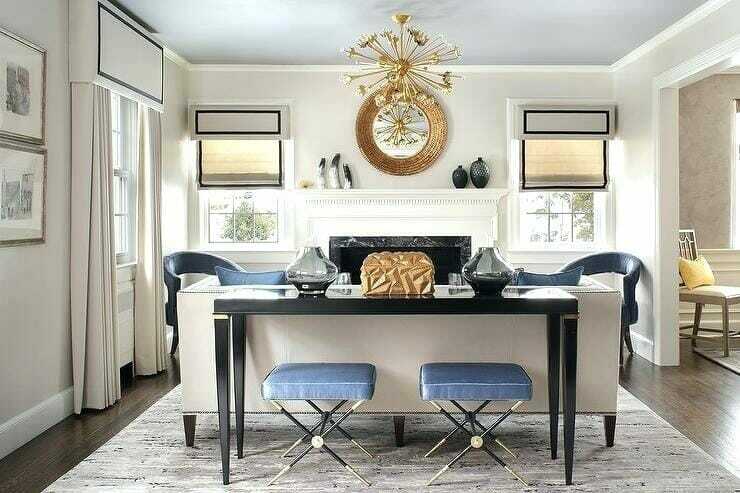 A mix of textures in neutral tones adds coziness and some blue accents introduce a touch of color in the space. 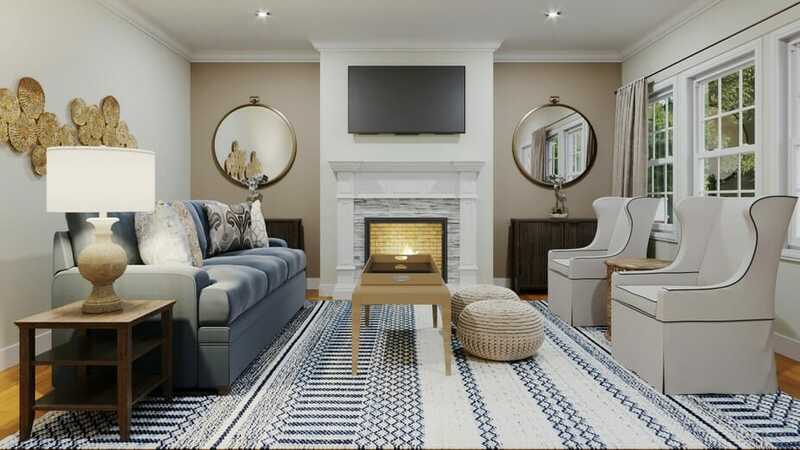 Flexible seating options and a beautiful fireplace make this the ideal space to gather as a family or entertain friends. The lounge sitting area develops around the fireplace, that sets a natural focal point in the room. Behind it, is a comfortable circulation space. Sofa, artworks and area rug are the prominent pieces and introduce blue as the accent color. All the rest is neutral in the tones of beige. The design is far from being boring though! Different textures – both in textiles and furniture – add tons of character and depth to the space! 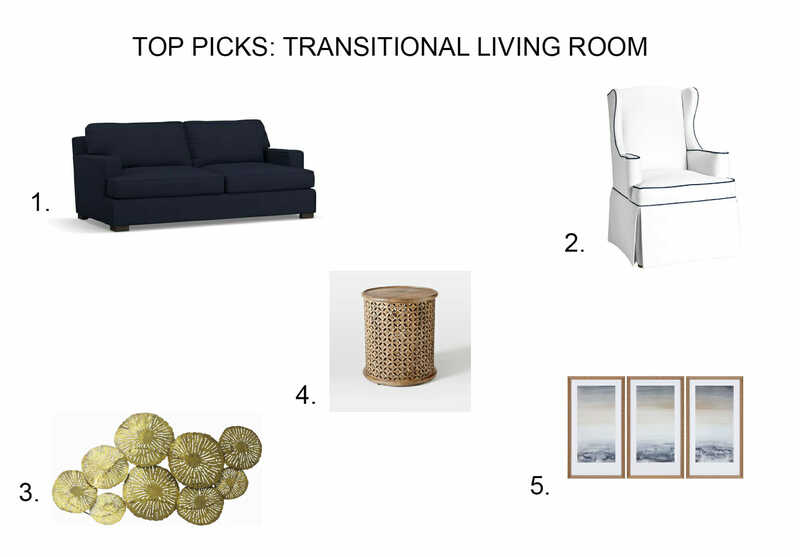 The final design is the perfect transitional living room, where traditional elements are paired with modern pieces. 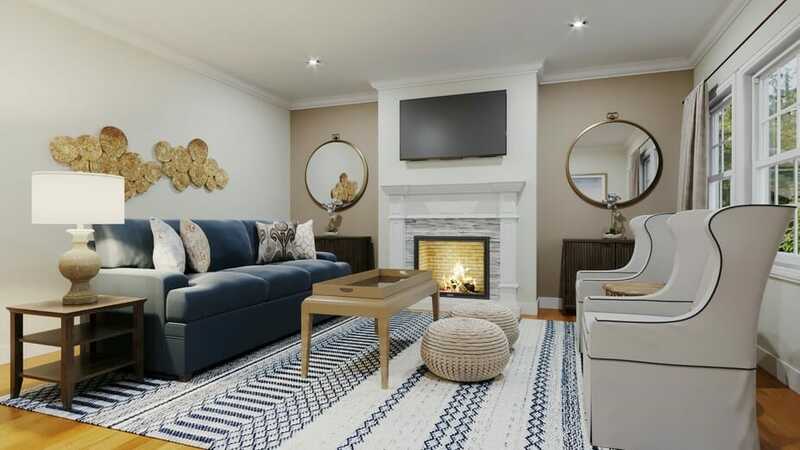 The traditional furniture layout with two armchairs facing a sofa and a spacious coffee table in the middle sets the formal vibe, which continues with two symmetric chests on the sides of the fireplace. A modern patterned area rug introduces an unexpected touch and carries around the accent color. In front of the armchairs, two knitted poufs make the space even more inviting (and provide extra seating when needed). The color story continues on the opposite wall. Three oversized artworks decorate the long wall with neutrals-and-blue and help to visually define the seating area. Also, the watercolor effect adds to the overall calming and inviting atmosphere. All walls are in a very light beige (Alabaster by Sherwin Williams) and a darker color on the fireplace wall (Pismo Dunes by Benjamin Moore) helps to highlight the focal point even further. 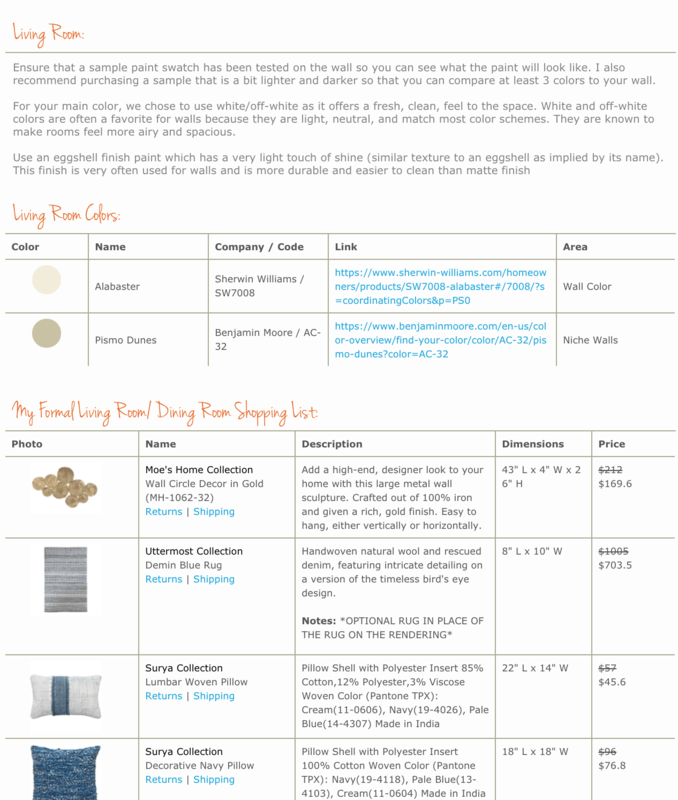 Warm-toned window treatments add another layer of comfort and enrich the neutral color palette. To finish off, a gold artwork above the sofa and two gold mirrors above the cabinets complete the design, adding a modern metallic touch. 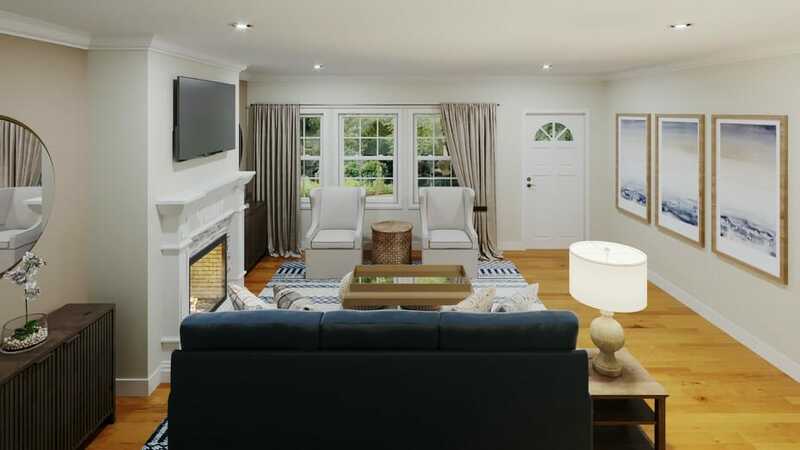 Overall, the result is a beautiful lounge sitting area that matches the client’s transitional style home. 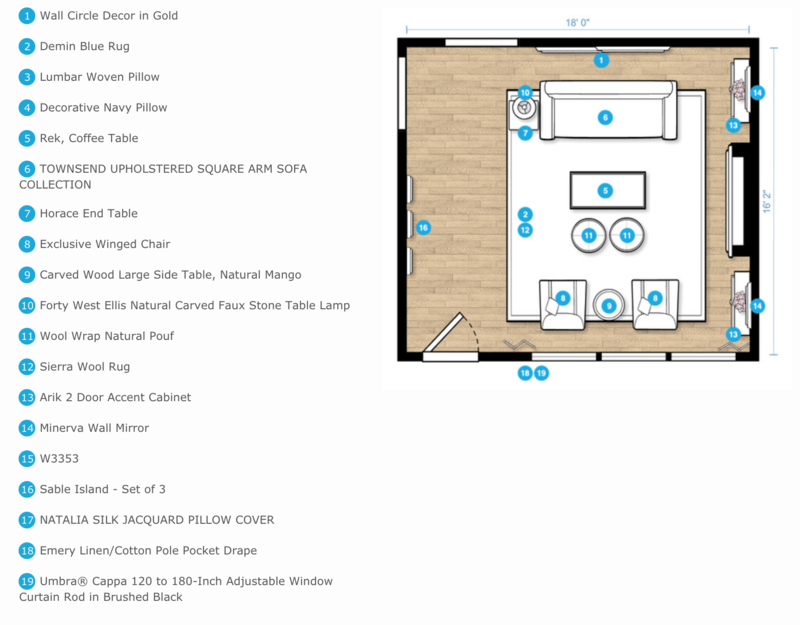 Getting to see the design upfront in a 3D image is a huge benefit of online interior design. It really helps to visualize the end result before anything changes in the space!! And in this case, we are sure this living room has become the background for many family and friends’ gatherings! If you also have a room in your home that you don’t like, online interior design can be just the right solution for you! All you have to do is share your needs and preferences, and Decorilla’s interior designers will do the rest! Even at the end of designing, Decorilla team can assist on orders, tracking and white glove help! So if you are searching for an affordable online interior design service that produces quality results, schedule your Free Design Consultation with Decorilla today!